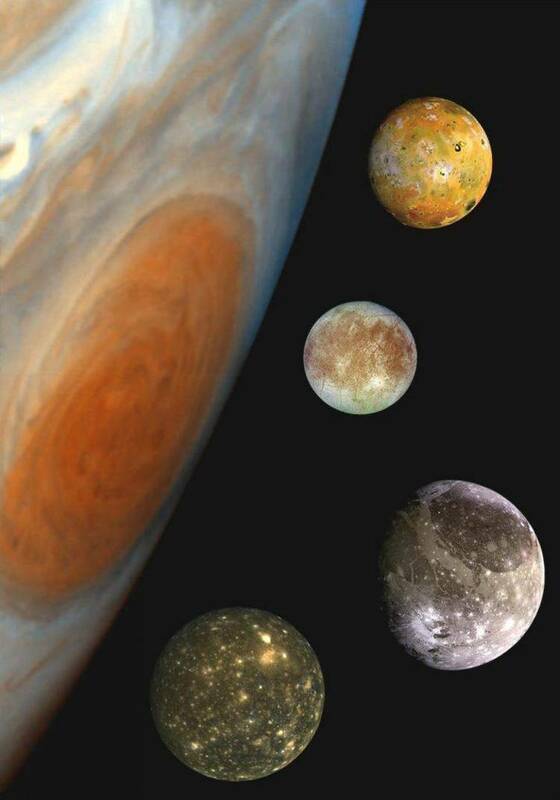 Plots the motion of the four largest of Jupiter’s moons — the Galilean Satellites. Callisto, now called the Galilean Satellites in his honor. card driving a CGA monitor, though it does work with EGA monochrome. GALILEO will also use a math coprocessor if present. prompt, or Q to Quit. 1. Calculate where each moon is in its orbit around Jupiter. 2. Calculate where Jupiter is in its orbit. 3. Calculate where the Earth is in its orbit. The results gives very acceptable accuracy for most purposes. the program suits my requirements. I hope that you will feel motivated to see these moons for yourself. the evenings. In any case, get out and observe!